The listed property lay practically in ruins when the present owner first saw it and fell in love with its architecture and incredible views. The painstaking process of its restoration involved using the most advanced methods and materials while at the same time investigating the traditional designs and crafts, in many cases reviving practices long lost. 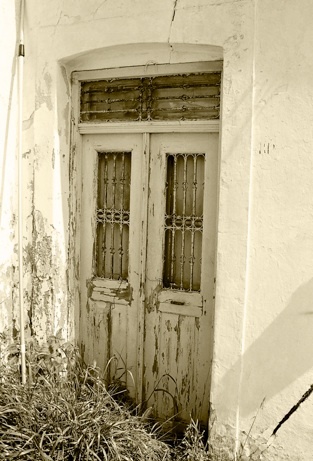 The young local carpenters trained by the old still surviving masters to create the exact door frame, the bannister, the cupboard, using remains from the house itself and other old properties on the island. State of the art technology, like invisible under floor central heating so that the guesthouse is functional year round, wi-fi throughout, Grohe rain showerheads coexist with antiques mostly traced locally.